All around the world companies lean on IT services to stay ahead of the curve technologically when it comes to their business. Not only do these services ensure up to date servers that are less likely to crash but also help protect your company with top of the line web security, keeping your valuable information stored concerning both your company and the employees that you have. For many companies across the world, no area provides better IT services than Los Angeles. There are a lot of factors that contribute to Los Angeles’ reputation as the go-to source for IT services and these are just some of the reasons more and more companies globally are turning to the City of Angels. Large and Well Trained Workforce– With over 18 million residents in Los Angeles alone and a significant amount of them having Bachelor degrees, if your company is in need of specific training from their IT services, companies like the Workforce Investment Boards or State Employment Training Panel can provide you with capable and competent employees trained to almost your specific needs. Access to National and International Markets– Los Angeles is an incredibly connected area, with three seaports, freeways and six commercial airports connecting the world to LA in multiple ways. Additionally, Los Angeles International Airport is served by 43 international carriers, making it an easy place to handle multiple countries’ business affairs and any additional IT needs. It’s a Leader in the Tech Industry– Over 33,000 people work in computer systems design and software publication in Los Angeles alone. This makes it one of the leaders in technology development and allows workers in the city to provide the latest and greatest technology in IT services for clients all across the world. Cultural Diversity– There aren’t many cities more diverse than Los Angeles throughout multiple industries. What better way to get IT services in another part of the world than with someone in one of the leading tech industries that speaks your language and understands your specific needs? Not many areas can provide support that specific and customized but Los Angeles can and that gives it a leg up on other areas and makes it an extremely attractive market to turn to for information technology services. Variety Available– There are dozens of reasons that a company may turn to IT services and no one city can provide more various companies with specific expertise quite like Los Angeles. Throughout the city, there are experts ready to handle your exact situation with the utmost of ease. We’re looking across the world can become a time consuming and fruitless process, the ability of Los Angeles to act as a hub of sorts for these IT services makes finding quality IT service that suits your actual needs a quick and painless one. Los Angeles is a Leading Environmental Technology Area– Things like pollution prevention, water quality improvement or alternate fuel technology all have bases in Los Angeles that are growing by the minute. This allows Los Angeles IT services to cater to companies concerning these types of issues better than some others may be able to. Often companies turning to IT services don’t have the budget for their own IT staff so the multitude of options in the city help them find affordable services that they are able to actually utilize. Reputation– Let’s face it, there’s no place with a reputation like Los Angeles has. 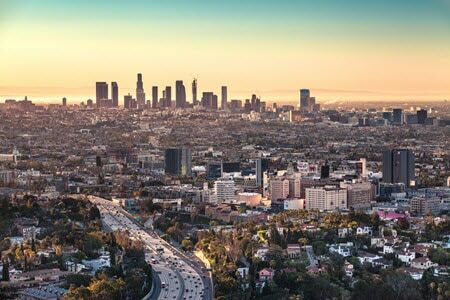 Known as a leader in the tech industry with a huge population of smart and capable IT service providers, Los Angeles has a well-earned reputation that makes it popular and recognizable to companies all around the globe. Also Read: Do You Need to manage IT Services in Los Angeles? Los Angeles isn’t just a popular tourist destination, it’s a cultural center in terms of the technology industry and can provide extensive and specialized IT services to companies all across the globe. The diversity and reputation as a tech mainstay help to ensure that no matter a company’s need, there is a service provider in town that can help find a workable solution at an affordable price. There are tons of reasons to choose Los Angeles and when it comes to IT services it’s clear that the reputation they have as go-to experts is well earned. Copyright 2019 GeekTek IT Services Inc.